I’m a slightly snobby tea drinker, with a preference for a British teabag for most cups, and a nice, tippy Assam when I have the time to brew. That doesn’t, however, make me an expert tea leaf reader—although I highly recommend their use as garden mulch. Alas, these days, everyone seems to be an expert prognosticator, with all sorts of methods of arriving at their conclusions. 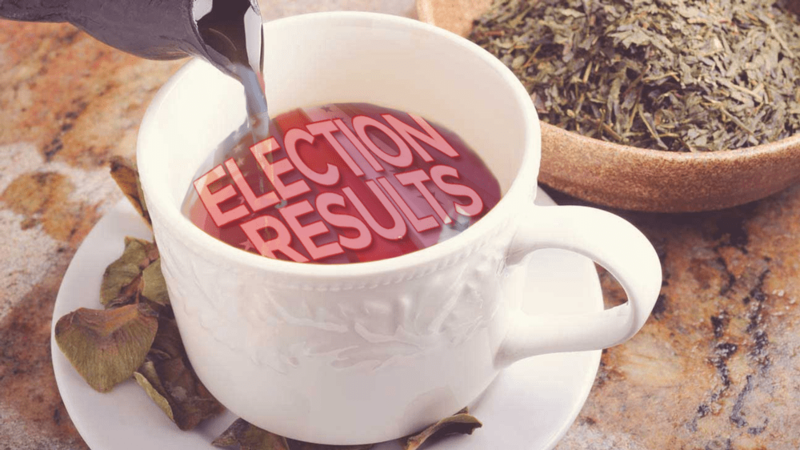 For all I know, under the roundtables of pundits cluttering up media today, there is someone pouring out cups of tea, the better to discern the leaves. This issue goes to press just a couple of weeks before the November 2018 midterm elections, right after the bruising Senate confirmation hearings for Brett Kavanaugh, now a member of the Supreme Court. Some scenarios have the Democratic Party taking the US House of Representatives by “historic” margins and eking out a slim majority in the Senate. Others have the House going to the Democrats by a smaller margin and the Republicans holding the Senate—and possibly taking an additional seat or two. All the pundits know that midterms usually play out as a referendum of sorts on the incumbent president and that the party that holds that office usually has losses in Congress—particularly in the House. But we are living in much more chaotic and fragmented times than in the past, so there is a lot of hedging going on amongst the chattering classes. Patterns that were once the norm are just as likely to be fragmented than they are to stay clearly fixed. Gunowners are already happier than they have been in decades. The Supreme Court, should it take up any gun rights cases next term, is more apt to swing our way, and if we are to have 5-4 decisions on all important cases, so be it. Many of us believed that Heller, and especially McDonald, should have been decided unanimously or at least by 7-2 votes—if we had believed that now Justices Elena Kagan and Sonya Sotomayor, really meant that the 2nd Amendment was “settled law,” as they both averred in their confirmation hearings. It is never wise to predict much of anything, including how the Supreme Court will rule, but this is a better time to be a gunowner than in almost anyone’s memory. However—and there are always howevers–just because we have a pro-gun rights leaning Supreme Court, and, indeed, more friendly Appellate Courts, does not mean that gunowners are out of the proverbial woods. A Democrat House, especially one bent on punishing the “other side,” would bottle up long-wished for legislation, such as national reciprocity, even if a GOP-controlled Senate moved on it. And, somewhat horrifyingly, Nov. 7, 2018, the day after the midterm election, is also the kick-off for the 2020 presidential race. Michael Bloomberg, former Republican, former Independent, former mayor of New York, and deep pocketed anti-gunner, has already registered as a Democrat—the better to “explore” the wilds of New Hampshire and Iowa, the first two presidential proving grounds. I expect him to visit both states before year’s end. Other visitors to those states are likely to be a who’s who of the anti-gunners: Sens. Elizabeth Warren (MA) and Corey Booker (NJ), among them. Even for people like me, who have an enduring interest in politics, it is likely to be too much, too soon, with every shortened news cycle bringing a new front runner to the fore. “Eternal vigilance is the price of freedom,” said Edmund Burke, 200+ years ago. And it has been true ever since. The path to the universal recognition of gun rights as an integral civil right, is a long one, with a lot of obstacles along it. Paying attention to every step is the only guarantee of safe arrival.